Environment preservation and animal rights are huge issues right now. 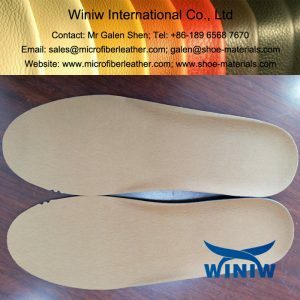 A lot of manufacturers switch from natural to faux leather because consumers have become more aware of the reality of leather production and speak against animal cruelty. What is more, producing genuine leather is not only careless but also inefficient and unprofitable. Only about 55% of the hide is good quality leather. The rest simply goes to waste, costing the industry a lot of money. 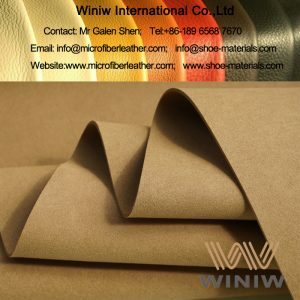 Luckily, there is an answer to this problem, and it is called microfiber leather fabric. 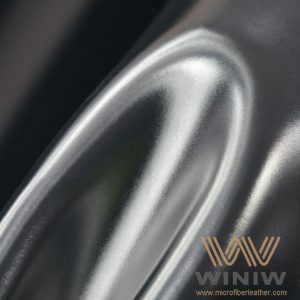 It is the best synthetic leather currently presented on the market. 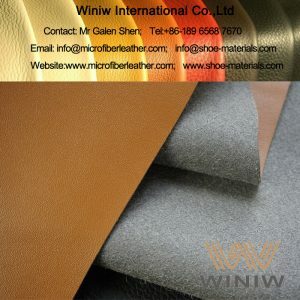 Microfiber leather is made from polyester and polyamide fibers as well as polyurethane. 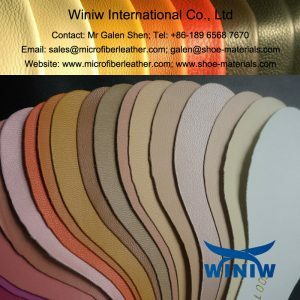 Thanks to modern technology of producing non-woven fabric, it is possible to imitate the texture, structure, and print of natural leather. 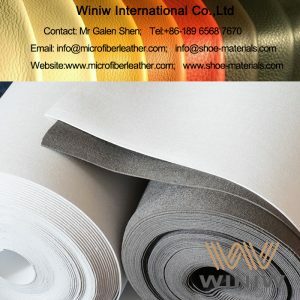 As for the characteristics, microfiber comes very close to the real deal and even surpasses it by some physical properties. 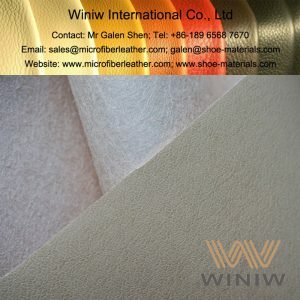 Microfiber leather is produced in the form of a roll which allows to maintain stable quality level and reduce the amount of wasted material up to 90%. 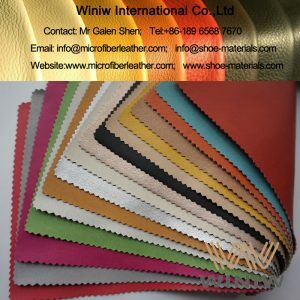 Microfiber leather fabric is lighter than the natural one which makes shoes made from it more comfortable. 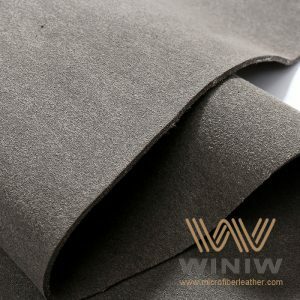 Synthetic leather is more durable, wear- and age-resistant than its natural alternative. 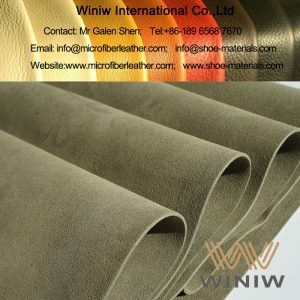 The cost of microfiber leather and suede production is lower than that of genuine ones. 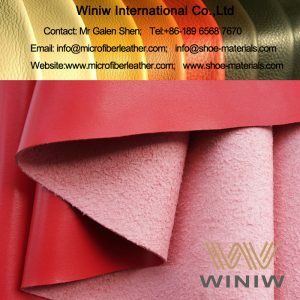 Winiw International Co.,Limited is one of the biggest microfiber leather suppliers in China. 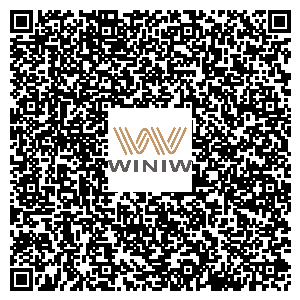 If you want to order fabrics from us, please browse the catalog, choose the product you need, click “Read more” to see the full description, then open the “Inquiry” tab to leave a request. Our customer manager will get in touch with you in the shortest time to take your order. If you have any questions, feel free to contact us at any time. Material composition: nylon (polyamide) + PU (polyurethane). 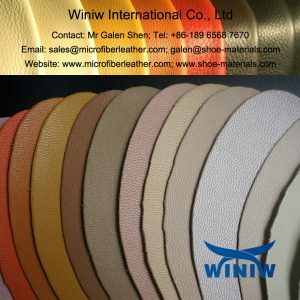 Color: Black, Beige, Grey, Brown, Camel, and customized colors. Packing: in rolls, usually 30/40/50 meters per roll. Lead time: 10 – 15 days. Composition: Polyamide (Nylon) + PU (Polyurethane), free of animal substances. Thickness: 0.6mm – 1.2mm, can more thickness upon request. Compostion: Nylon (Polyamide) + PU (Polyurethane), free of animal substances, eco-friendly. Color: Black, White, Beige, Brown, Pink, all colors available. Compositon: Nylon + PU (Polyamide), free of pig substances.